It is a high honor to be chosen to lead this wonderful school. The energy, enthusiasm and commitment to excellence that permeates The Ohio State University College of Medicine will make my job easier. Long known for its clinical quality, the College now boast some of the most cutting edge research and a very innovative medical student curriculum. New research, clinical and educational facilities are being constructed, underscoring the University's commitment to meeting President Gordon Gee's goal of achieving preeminence. Finally, one last feature sets us apart from our competitors - our people. Despite the academic rigor and clinical excellence of our faculty and staff, The Ohio State University College of Medicine is without a doubt the most congenial, collegial and friendliest medical school in the nation! 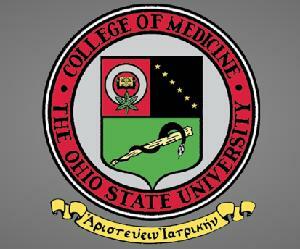 Welcome to research at The Ohio State University College of Medicine! The College of Medicine Office of Research supports faculty and staff as they develop proposals, conduct research, and develop plans for stimulating research growth and research career development. With experts in proposal development, grants administration, research strategy, research compliance, safety, lab management, and departmental affairs, the Office of Research is equipped to promote research and facilitate success in research endeavors in the College of Medicine. 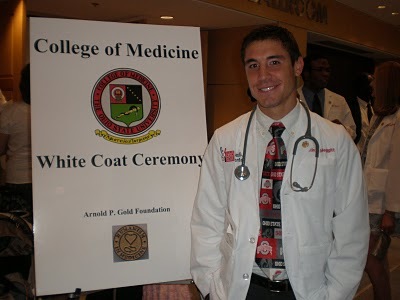 Plan to celebrate with the Medical Education Scholarship and Faculty Teaching Scholars Certificate Recipients of The Ohio State University's College of Medicine on Nov. 14 at the Biomedical Research Tower. This year's celebration, hosted by the Center for Education and Scholarship, features a morning of educational research posters, podium presentations and recognition of our Faculty Teaching Scholars Program Certificate recipients, followed by a luncheon keynote address titled "Scholarship From Curriculum Design" by Larry Gruppen, PhD. The afternoon will include Lead.Serve.Inspire faculty teaching skills workshops and an "L.S.I Pilots" panel discussion. Guest speaker Dr. Larry Gruppen is a leading national voice in medical education. He is professor and chair of the Department of Medical Education at the University of Michigan Medical School, where he directed the school's Medical Education Scholars Program. He also founded the AAMC's Medical Education Research Certificate (MERC) program. Dr. Gruppen has made significant contributions to curriculum development and education research at Michigan, which will be of particular interest as we embark upon our new medical curriculum this year. At Ohio State, we are continuously seeking to improve medical education to meet the needs of our state, nation and world. 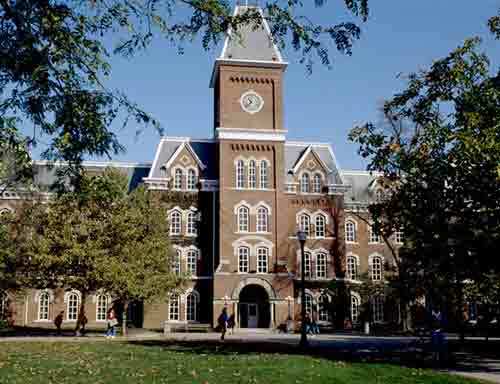 It means that Ohio State educators are constantly looking for innovative ways to help you become the best physician you can be. We offer you two choices of curricula during Med 1 and Med 2, allowing you to select the method of learning that works best for you - the Integrated and Independent Study pathways. 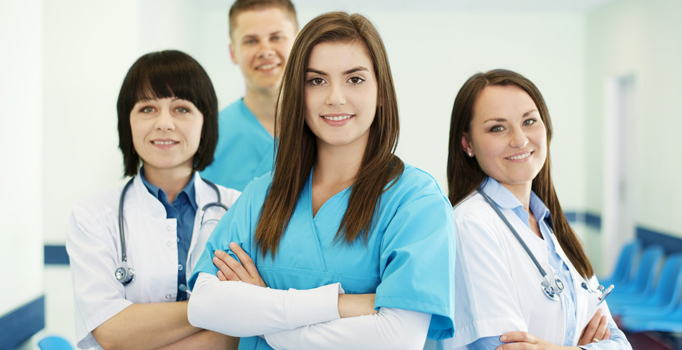 You will gain clinical experiences early in your first year working with a faculty member seeing patients and through the Clinical Assessment and Problem Solving (CAPS) course. You will work with a community service agency in your first through the community project. Outside the curriculum, you will have many opportunities for patient interaction and skill building through The Columbus Free Clinic, La Clinica Latina, the Asian Health Initiative Free Clinic, and the Physician Free Clinic as well as through the many interest groups. Visit the "Student Experience" tab for more details about extracurricular activities available to you. 1. approach the care of patients as a cooperative endeavor, integrating patients' concerns and ensuring their health needs are addressed. 2. comprehensively evaluate patients by obtaining accurate and pertinent medical histories; conducting appropriate and thorough physical examinations; gathering detailed ancillary information; and synthesizing all relevant data to generate prioritized differential diagnoses and formulate plans of care that reflect an understanding of the environment in which health care is delivered. 3. use the best available information to develop patient care plans that reflect cost-effective utilization of diagnostic tools and therapeutic interventions appropriate for each unique patient and/or patient population and that are delivered in a compassionate, safe and error-limited environment. 4. understand the role of disease prevention and health promotion in relation to individual patients and/or patient populations and utilize these principles in clinical encounters. 1. demonstrate a broad working knowledge of the fundamental science, principles, and processes basic to the practice of medicine and apply this knowledge in a judicious and consistent manner to prevent common health problems and achieve effective and safe patient care. 2. understand the clinical relevance of scientific inquiry and demonstrate the ability to evaluate emerging knowledge and research as it applies to diagnosis, treatment and the prevention of disease. 3. utilize state of the art information technology and tools to retrieve, manage and use biomedical information in the care of individuals and populations. 1. evaluate the performance of individuals and systems to identify opportunities for improvement. 2. seek out and apply best practices, measure the effect of changes and develop strategies to improve performance. 3. demonstrate an understanding of the role of the student and physician in the improvement of the healthcare delivery system. 4. identify one's own strengths, weaknesses and limits; seek and respond appropriately to performance feedback; maintain an appropriate balance of personal and professional commitments; and seek help and advice when needed. 1. demonstrate leadership and collaborate effectively with other healthcare team members and professional associates. 2. understand how human diversity may influence or interfere with exchange of information. 3. use effective listening, observational, and communication techniques in all professional interactions. 4. produce timely documentation and communication that is clear, concise, and organized, in a way that optimizes patient care and minimizes medical errors. 5. use information technology appropriately to manage medical information and patient care decisions, promote education, and communicate in the interests of patients. 6. effectively prepare and deliver educational materials to individuals and groups. 1. understand the institutions and individuals that participate in healthcare delivery and the role of the physician in the health care system. 2. appropriately use system resources and assist patients in accessing health care that is safe, effective, patient-centered, timely, efficient and equitable. 3. understand the interdependence of the component parts of the healthcare system and the potential for unintended consequences within the system. 4. identify and utilize professional role models as a means of growth and accept the responsibility of acting as a role model and teaching and training others.